You finally landed that much sought-after client and are ready to get started on the project. It's tempting to move forward on a handshake, but it's worthwhile to take the time for your client to sign a written contract. Have your lawyer draft or review the contract to make sure it is favorable to you. If things go wrong, you need to make sure that the relationship between you and the client is set in place in a contract. You are likely to discuss a variety of projects and the client's wish list can quickly grow. When performing the job, it helps to have a clearly defined scope of work. During the course of the relationship, should there be a misunderstanding about results, or the time in which a project was completed, you can easily refer back to the written document and quickly resolve the issue. 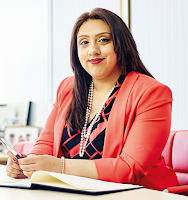 Shazda Ahmed is the lead solicitor of the Business Services practice in Manchester. She represents business owners in a range of practice areas, including contract drafting and disputes, landlord tenant law, real estate, new business start-ups.